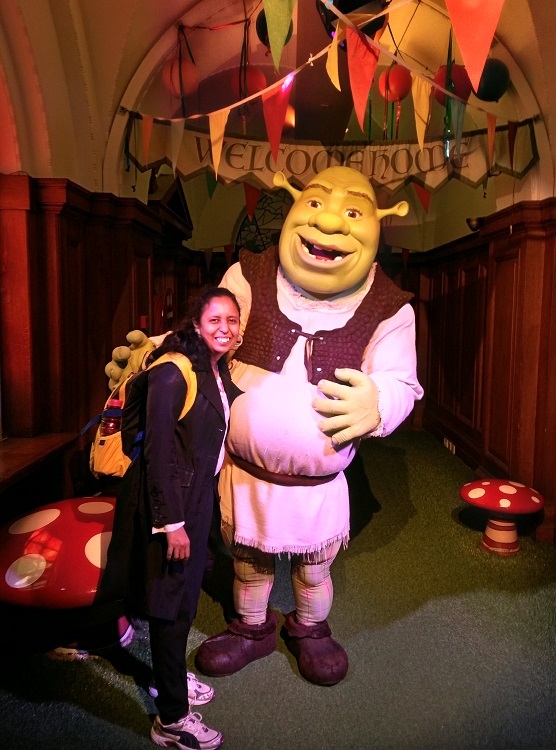 I went to Dreamworks Tours Shrek’s Adventure in London by as soon as it opened at 10.00 am. 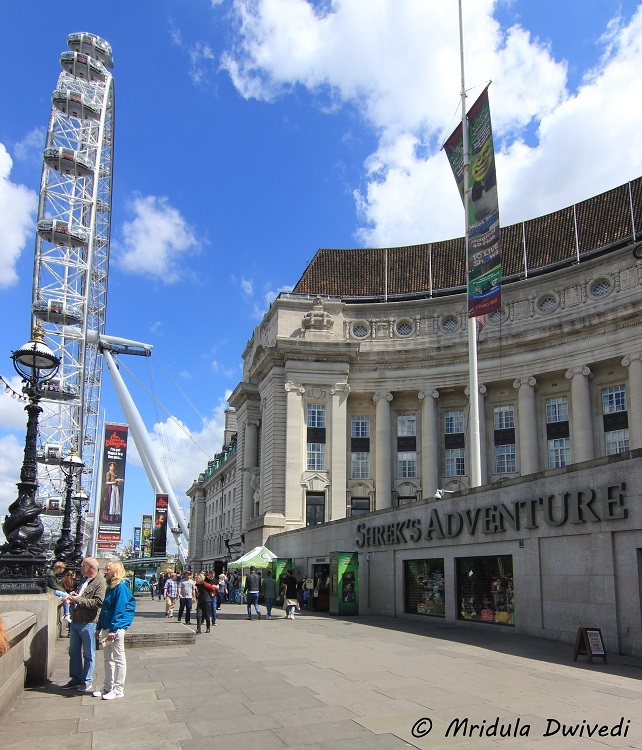 Shrek’s Adventure is right next to London Eye! There were no queues at that time. Our first batch had probably 12 people. A lot of them were families with kids. As we were getting ready to go on our adventure to Far Far Away, I started making a Vine video. The characters in the story told me that photography was not allowed on the entire tour. So I put my SLR in the bag, and the cell phone in my pocket and marched ahead! Right at the beginning we went on a 4D car ride with donkey as the driver! The 4D animations are dazzling. To me it felt like a short ride but whether we liked it or not, we ended up killing one of the witches and the entire group was now on the run. So off we went to the Far Far Away Land with witches in hot pursuit. We went from room to room err adventure to adventure. We met Cinderella, Sleeping beauty, Pinocchio and many other characters who assisted us! Some made magic potions, some told the future and some just sent us into a maze! The mirror maze was a lot of fun. We all kept going in circles around it, till we were rescued, only to be trapped! Would Shrek be in time to rescue us? Well, you have to go and see! All the characters do their part well, from Sleeping beauty to Cinderella and everyone in between. They involve the audience in most of the acts, particularly the young ones and the kids love it. All the time they kept reminding the adults to give the front row to the children. They let us click pictures briefly when we get out. They also click a few pictures which they offer us in the end for a price. 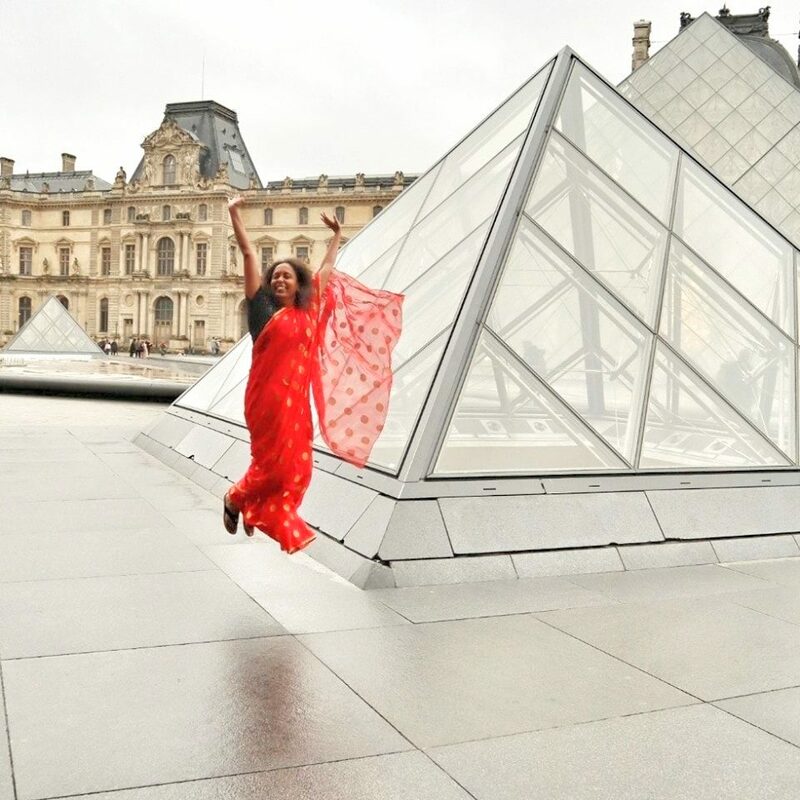 As for the Pound being so strong, I didn’t buy the official photographs but if Chhavi was with me, I am sure I would have forked out the money. I think it was for 25 Pounds! 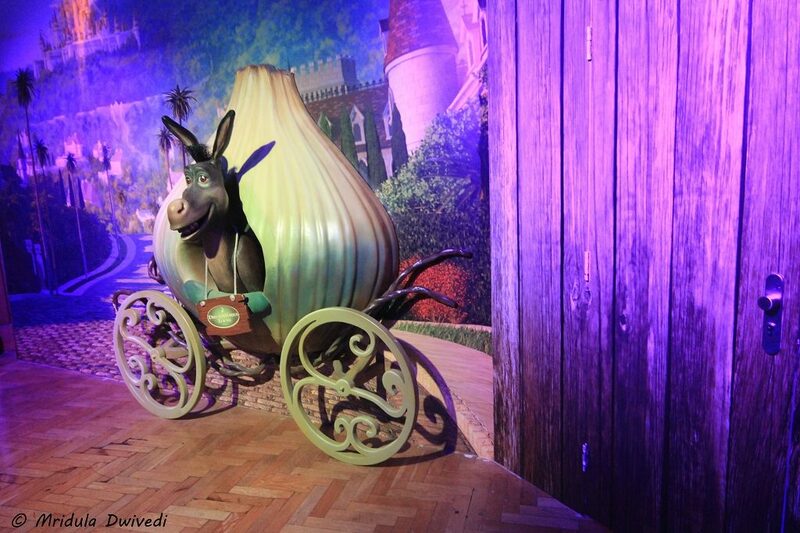 If you are in London with your young kids they would enjoy the Shrek’s Adventures. PS. My entrance ticket to the Shrek’s Adventure was sponsored by Visit Britain (India). ha ha kids would love it too! It is particularly for kids! Don’n know when I would get a chance to be there , but If I get a chance will go there for sure . It is irritating some time when camera are prohibited !! Oooh, I would love it too… What fun! 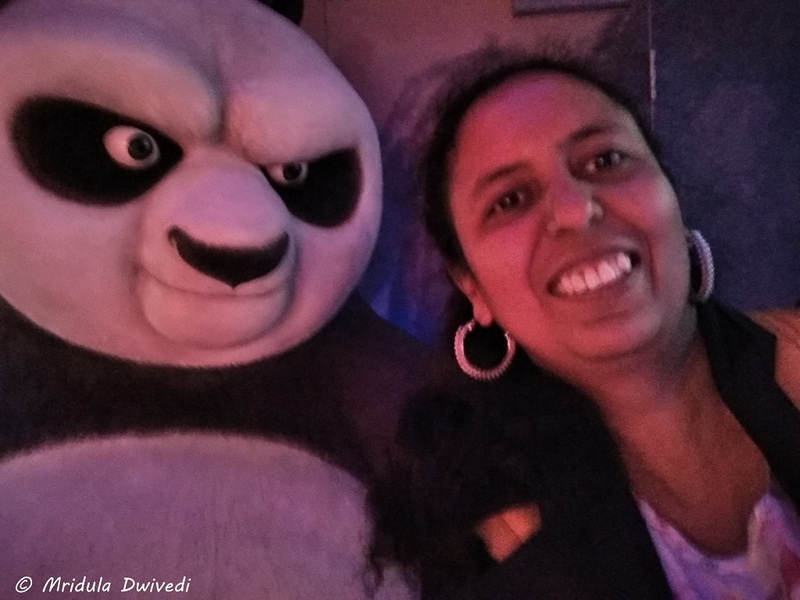 How awesome Mridula as I always adored Shrek. You would then enjoy it a lot! Quite an experience I am sure! I saw it from outside… Thank you for taking me through it! Looks like fun! That must have been thrilling! This is a place which I would love to visit!